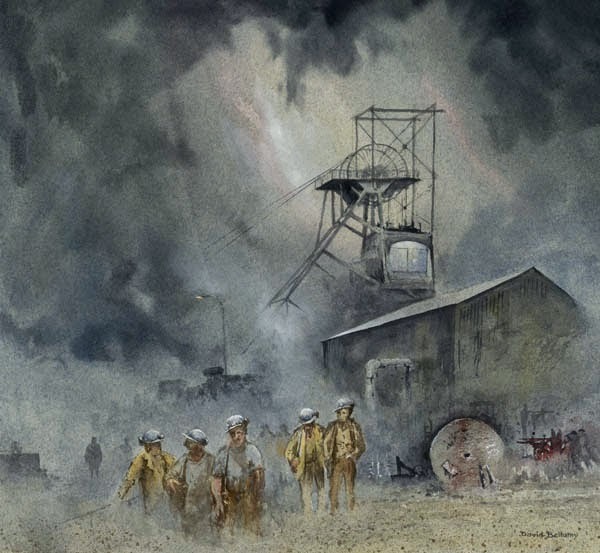 This entry was posted in aerial recession in landscape paintings, atmosphere, Coal mines in watercolour charcoal, David Bellamy, leaving out detail, Mining Paintings, recession, Sketching characters and tagged simplifying a painting, watercolour by David Bellamy. Bookmark the permalink. How timely is this blog ! I am in a depressing ‘lull’ and I love your suggestion of the monochrome background. I think you have awakened my spark. Maybe ideas are being fuelled ? And yes, I have my precious copy, now out for a reread and some much needed inspiration, thanks again David !